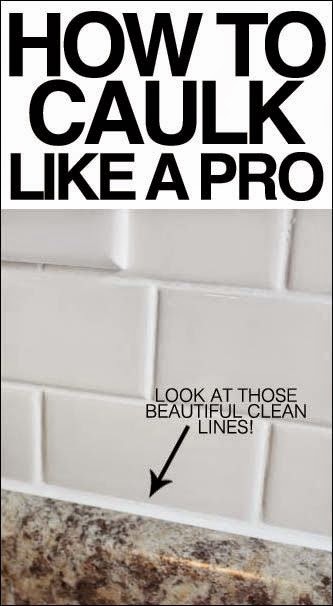 Yesterday I showed you guys my new white subway tile backsplash and I promised I would give you a cool tip and trick for how to caulk like a pro. Now I would like to take full credit for this, but my good friend Sarah actually gave me this tip. I at least get the credit for passing it onto you, right?